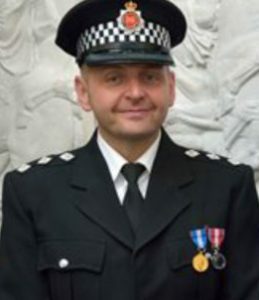 Mike spoke to an ex-Chief Inspector from Manchester Police, Shane O’Neill. Shane loved Policing but wanted to leave in order to work in different ways to help to avoid criminalising young people who have just made mistakes. Global Policing Ltd helps schools with behaviour, safety and security but at the same time educating children on what choices they have and what the consequences of their actions are. Shane points out that nobody has told our children what crime is – so how can we expect them to understand? Shane’s background gives him a unique viewpoint – while he was rising through the ranks in the Police, his brother was spending time in prison. This was one of the catalysts for Shane to embark on his work – to make it clear to children that no-one but themselves are responsible for their decisions. Shane remembers the earliest days of his Policing career when many Police officers were based in schools and there was time for creating and sustaining relationships with schools. This is no longer the case. When Shane and his team work directly with schools one of the most important things they do is make connections with the children – so they feel able to share information, to trust them. Misconceptions are all too common but avoidable if we understand the children we are involved with and take the time to find out why they are misbehaving. However this doesn’t mean Shane and his team are soft on children who are committing serious crime. Shane works mainly in Primary schools so he says that most of his work is with the consequences of mistakes. He is frustrated when he sees adults and the community demanding that a child is criminalised when that one issue can prevent the child from becoming a Police officer, a teacher, or a politician. A much better approach is to work restoratively – to get them to apologies and work to make what they did right. They will learn from this. Shane gives some very powerful examples of how his sessions run, for example when working on knife crime. Shane also works directly with teachers. He often finds that they can put themselves in the middle of a difficult situation by confronting the aggressor while another teacher comforts the victim. In fact, it would be much better for the teacher to stand to the side, go down to the level of the children and get them to stand facing each other to speak to each other. The teacher can then facilitate the restorative conversation. There’s lots more to discover n this great episode so do listen right to the end!